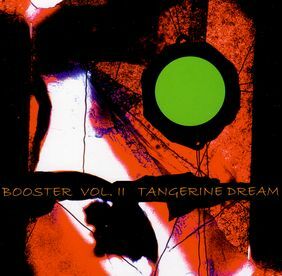 PS: Booster II contains 8 so far unreleased tracks: totally new ones or re-recorded ones -- you will be surprised!" 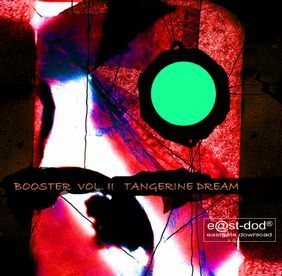 The first 300 customers who ordered the CD release of Booster II via the Eastgate Web Shop received a free postcard showing the Tangerine Dream line-up as of 2008, signed by Edgar Froese, of approx. 15cm by 21cm size. Originally this postcard was issued on occasion of the Loreley concert as featured on the release Loreley. The photo shows Edgar Froese, Linda Spa, Bernhard Beibl, Thorsten Quaeschning and Iris Camaa. 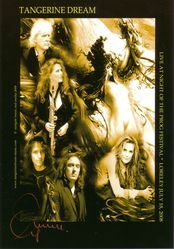 In March 2009 this release became available as MP3 download at the Tangerine Dream Download Shop as well.